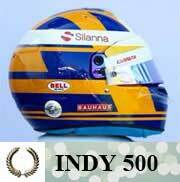 "I got a call from Fredrik Ekblom, whom I ran in British Formula 3000 and Indy Lights. He now runs a kart circuit and he told me about a nine-year old kid who'd walked in off the street and nearly broke the lap record" recalled Richard Dutton, head of Fortec Motorsport. Ekblom managed to convince Ericsson's father, Tomas, to buy his son a kart and Marcus stayed in karting for the next four years.